I wanted to share a new book by Erin Zamrzla, "At Home with Handmade Books". It is such a lovely book, both in its organic style and in its substance. Erin has a really fresh approach with her book designs as well as the materials she uses. Many of the books have been made from repurposed or common materials. The book gives direction both visually (my preference) and by text and the projects range from quick and simple to others that require a bit more time and effort. My favorite thing about Erin's the book is it has inspired me to get out the paper and make more books. The book can be found online at Shambhala Publications http://www.makegoodbooks.com/ From there you'll be able to find the book as well as some of their other crafty book titles. Pillow collaboration between el Seed & Barakah Life. It's not too late to register for Sunday's workshop at the Barakah Life Studio, Hayward, CA. 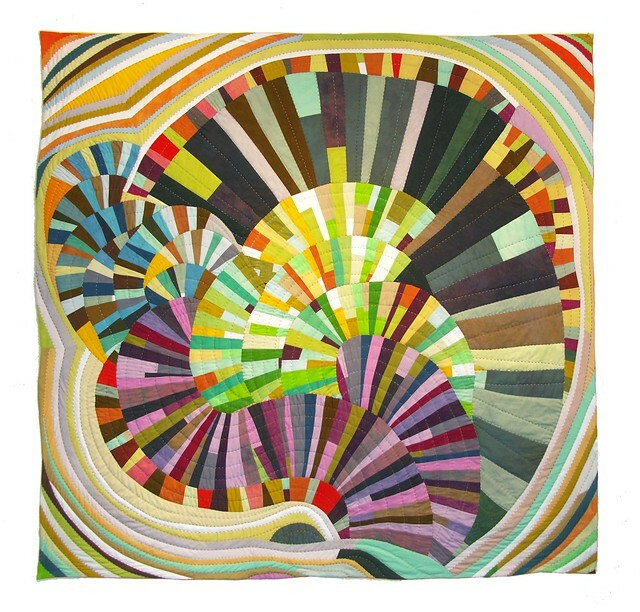 I just discoved textile designer, Sheri Lynn Wood and her explosive eye popping quilts. I love the color and their curvy motion. Sheri's design company is called Dainty Time Quilts and is just up the road on Treasure Island. 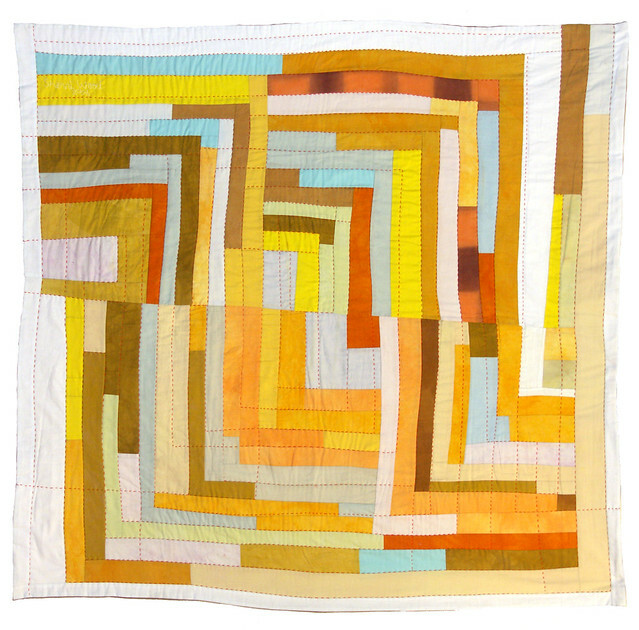 Sheri's modern quilts are improvisational and made without a pre-determined pattern. 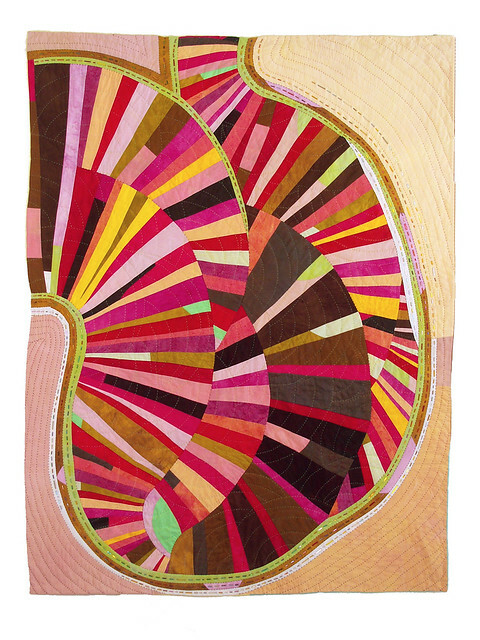 Her quilts are all about line, color, shape and the rhythm of attention. 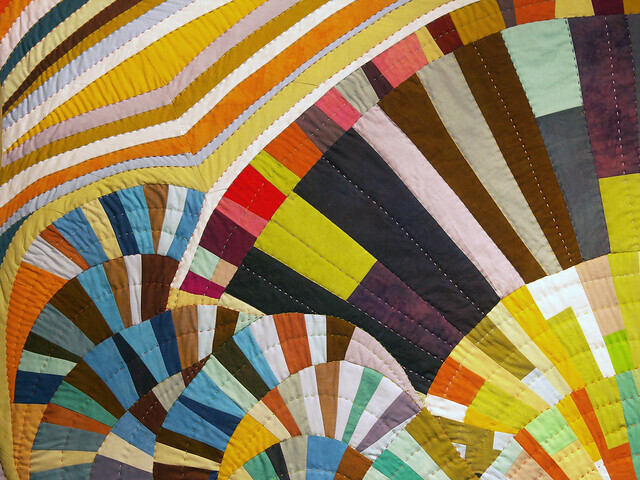 Machine pieced, hand quilted and made with hand dyed cotton fabrics. With a Moroccan mother and French father, Younes Duret has always lived between two countries. Casablanca is the cradle of his childhood, Paris is the city where he studied design, and Marrakech is the one where he founded his design agency. Younes brings cultures closer which seem to be so divergent and creates a new borderless style. He aims to repair perceived ideas and prejudices by shifting objects and borrowing humorous and existing graphics. It is therefore difficult to attempt to associate his creations from one country more then another. I wanted to share a link about my friend and collaborator, Peter Gould. Enjoy! I met Faouzi Khlifi (el Seed) last year in Toronto at one of our CSP events, he was a speaker and was also creating a large mural at the festival. I appreciated his approachability and that his work was people centered. His work comes from a giving heart and becomes a gift for both those that watch the creating of it and for those that are fortunate to have the finished project in their environments. Barakah Life will be hosting el Seed's Calligraffiti Workshops in Hayward. We had some wonderful sessions at the studio with Haji Noor Deen during his receint trip to the Bay. Haji will be back next Spring, and we'll be having more workshops throughout the Bay. If your interested just email us and let us know you want to get on the list for Haji Noor Deen's upcoming events. In this Felting class we will be using all natural wool felt to create treasured felted dolls for the nature table or for your child to play with. The techniques used will be needle felting, hand sewing, as well as some embroidery and decorative beadwork. Color palettes and materials will be inspired by the seasons and natural materials found outdoors. Maya Blow is an herbalist and classical homeopath practicing in the East SF Bay Area. Besides her passion for holistic and alternative medicine she is also an artist, homeschooling mother of two, urban homesteader, and avid crafter. Maya has been studying, practicing, and teaching art for two decades and continues to draw her inspiration from her love of nature. Her specialties are working with oil and acrylic paint though she frequently works with wood, yarn, textiles, and found materials. Maya lives on an urban farm with her husband, sons, goats, chickens, and bees. All materials are included in the class fee.